I made this card for the current January Cloud9 Blog Hop with my card that uses WPlus9 Stamps. I used their photo for inspiration and I also made an Itty Bitty card so I'm going to enter it into the Moxie Fab World Itty Bitty Card Challenge also. 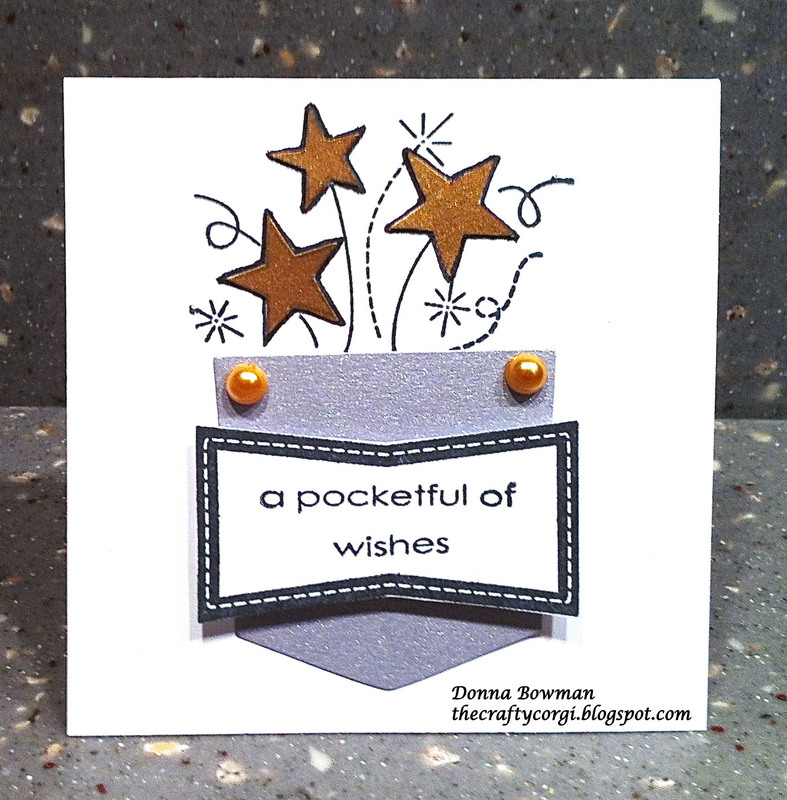 I used a WPlus9 Stamp set called A Pocketful and the WPlus9 matching pocket die. Luckily I had some gold and silver paper on hand. Thanks for stopping by!! Great take on the inspiration photo!! wow! 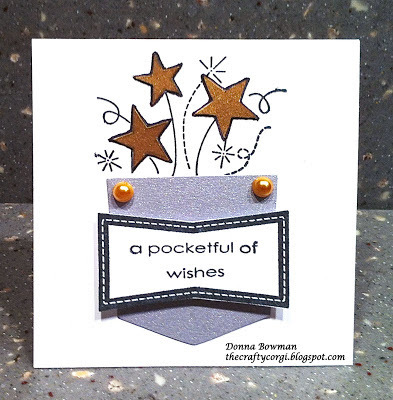 Donna, I love how you made your pocket silver and how you paper pieced the stars. Great card! Thanks so very much for joining us this month at Cloud9! 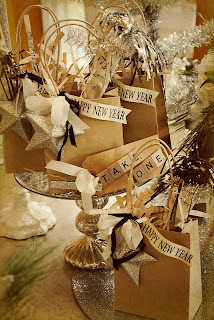 Love the theme...love those stars! Fantastic card Donna! I just got my first WPlus9 stamps and they are AWEsome! Oh, this is so cute! Love the sentiment and the image! What a cutie, Donna! All the metallics are perfect for this inspiration photo. So glad you joined us for this month's Cloud9 Blog Hop! now this is awesome...great designed card.. love those stamps you used and the flying stars are awesome..